Do you need support with applying for jobs? 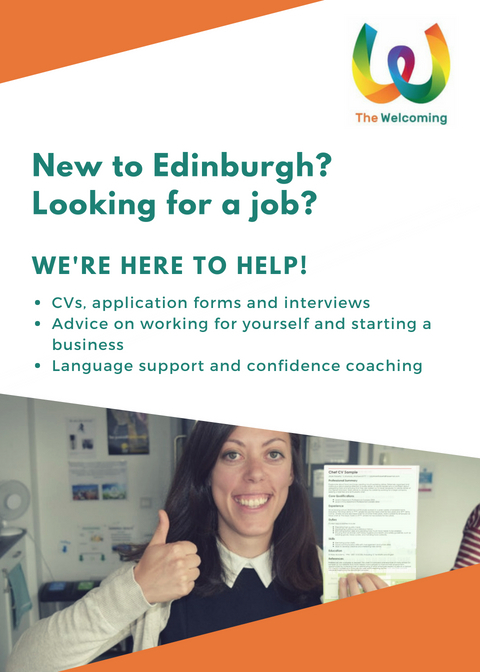 Would you like to find out more about working for yourself and setting up a business in Edinburgh? Leon, our Employability and Entrepreneurship advisor, is here to help! Leon’s open workshops are on Monday from 3-5pm, and Fridays from 2-4pm. If you come along to the open workshops, please bring a copy of your CV, or a work history, in English. To book an appointment please email [email protected] . Please advise him of your name, email address, phone number and the type of support you would like. Please always remember to bring your CV if you have one. If you don’t have a CV and would like help writing one, please bring with you a full work and education history in English. If possible, please also bring an example or two of a job you would like to apply for. This will allow Leon to help you tailor your CV to a specific job – always a much more successful strategy than a generic approach.